Rawlings Design, Inc. is an Architecture Firm focused on mostly single family residences and occasional small commercial buildings. Projects range from the smallest renovation to large new construction mostly in urban neighborhoods. Sustainable design or green design concepts are integrated into each project at a level appropriate to the client's needs. 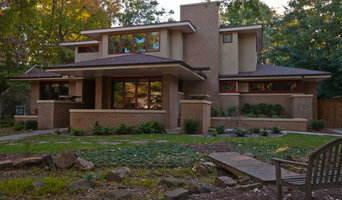 We are a design-build firm in the City of Decatur. Our tight-knit team consists of Architects, Designers and Contractors who handle all of our projects from start to finish. Design excellence, exemplary service, and “all in” commitment to client satisfaction are the 3 driving principals behind LKS Architects, Inc. We believe that architecture should be a fun, creative, problem- solving journey that considers and responds to environment, physical needs, beauty, and budget. Often working with families, Lisa finds her inspiration from the people she works with and the environment in which they live. Integrated collaboration is the most important thing she offers to clients. At LKS we work to help people refine their dreams and begin their personal journey in a new, functional, and exciting home. *** Please visit our Residential Studio web site www.HomePlaceStudio.com *** and our Commercial Studio web site www.LKSArchitectsInc.com Lisa Stacholy established the firm in 1995 based on the long-term commitment to client satisfaction, period. A big part of her process is offering the brain power and insight into getting a project started. This includes everything from design concepts to construction drawings and permits. Often, projects with the greatest constraints result in the most wonderful spaces. “Constraints” are the criteria- which include your construction budget, project timing, existing physical construction AND the dreams you have for your family. Lisa Stacholy is a Registered Architect in Georgia (#8297) and North Carolina (#12841), is a NCARB certificate holder (#46475), is a LEED BD+C Accredited Professional (GBCI #10262357) and a member of the American Institute of Architects (AIA #30132826). 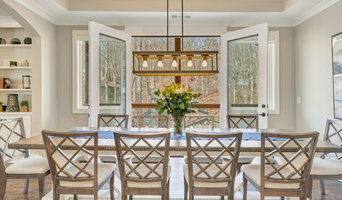 Real Estate & Design Firm offering personalized and high end custom design for homeowners in Atlanta and Decatur neighborhoods. Our projects range from kitchen renovations to additions and new construction homes. Half of our clients are design only clients and the other half are fearless homebuyers looking for a fixer upper! Our team of agents and designers are your one stop shop for all things home related. 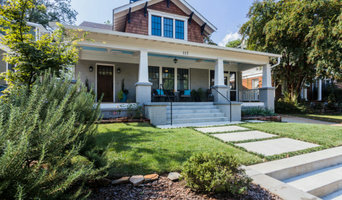 We are a full-service residential design and construction business specializing in home remodeling, new construction and historic preservation for homeowners and investors in southwest Atlanta and surrounding intown neighborhoods. Firm owner and award-winning designer Brent Potter provides thoughtful design and smart layouts coupled with quality craftsmanship to enhance your home's value and livability.